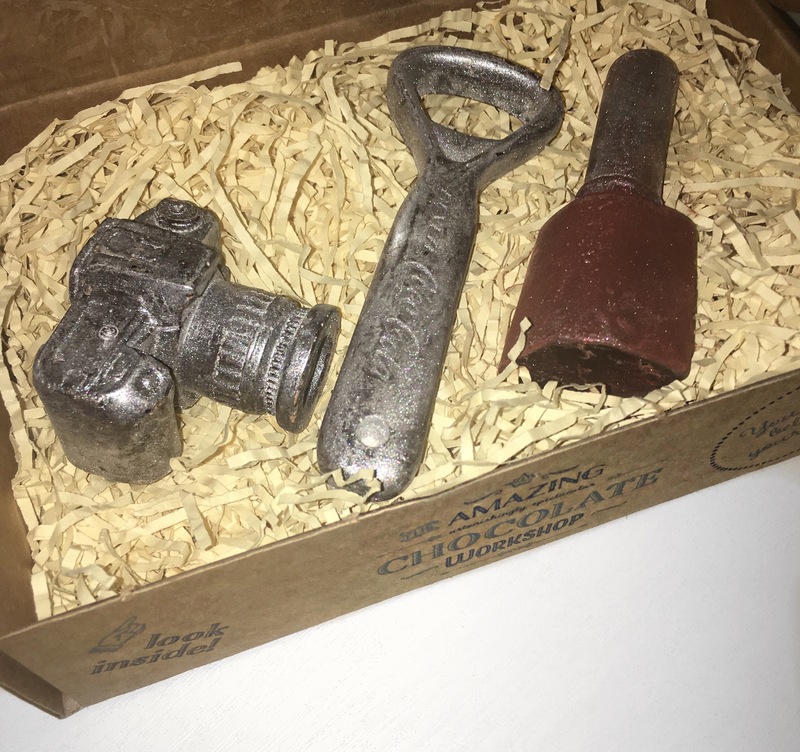 My brother kindly bought me this box of chocolates as a gift and when I opened it I couldn’t believe how cool they were. Inside the box there are 3 (big enough) solid chocolates but the cool thing about them is that they are in different 3D shapes. Yes that sounds stupid because of course all Chocolates are in different shapes but these go that extra little mile. As I’ve said there are 3 different shaped solid chocolates in the box in which my brother picked out especially to represent me. One is in the shape of a Camera because I love photography and take pictures of pretty much everything. 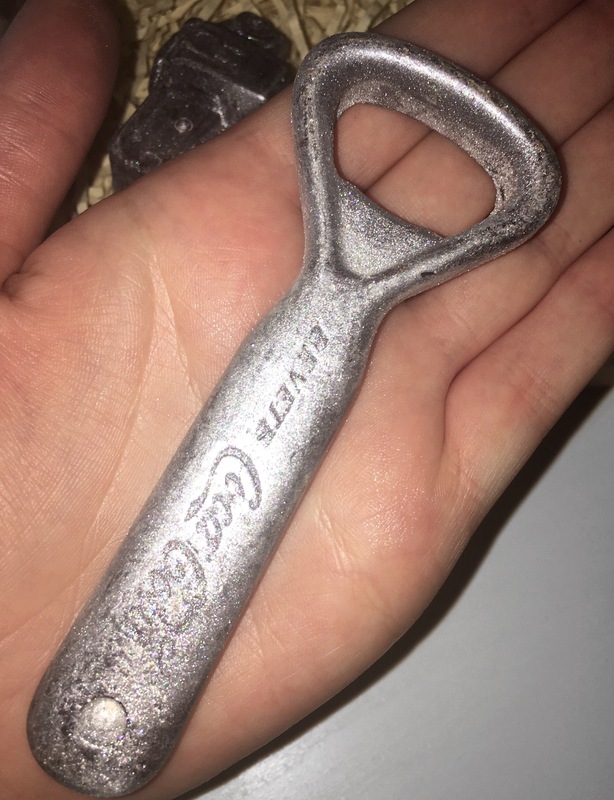 Another is in the shape of nail varnish because I love beauty and all things girly and the final one is in the shape of a bottle opener because currently I work in a pub. From the box to the chocolates I literally love everything about these chocolates. They’re really unique and I think they are an excellent idea for gifts because you can also make them that little bit personal. Not only does the chocolate look amazing, but the quality of the ingredients is also amazing. The cocoa beans used are carefully sourced and chosen to provide the chocolates with a naturally creamy, indulgent flavour, making each chocolate pieces truly special both to look at and to taste. They also smell incredible. The chocolates almost look way too good to eat. This is a small business and therefore there’s no big fancy machinery involved in the process of making these chocolates and in fact the majority of their craft involves traditional chocolate-making methods.Every item is individually hand-made. 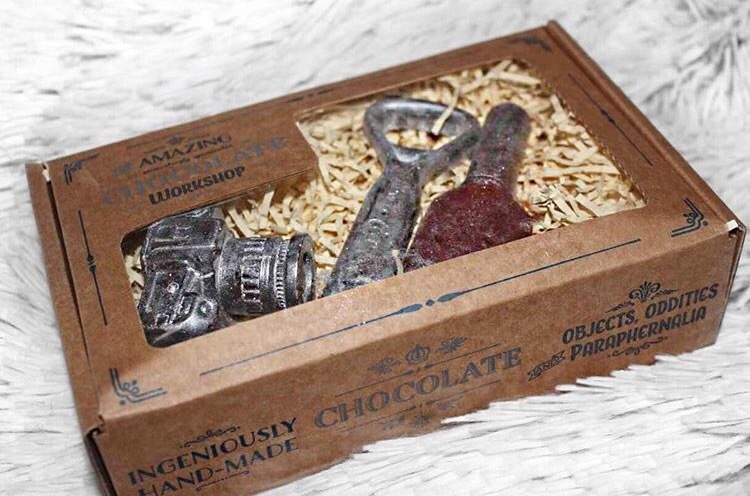 Whether it’s rusty old tools or nice shiny keys, the final finish on each helps to give the chocolate its eye-catching and unique appearance, which is why every individual piece of chocolate is finished by hand. I’m sure for these chocolate makers this work is tough and very painstaking but in my opinion I think it’s worth it and I’m sure they do too. You can choose from so many different pieces from chocolate cheese to chocolate tools even chocolate lipstick. 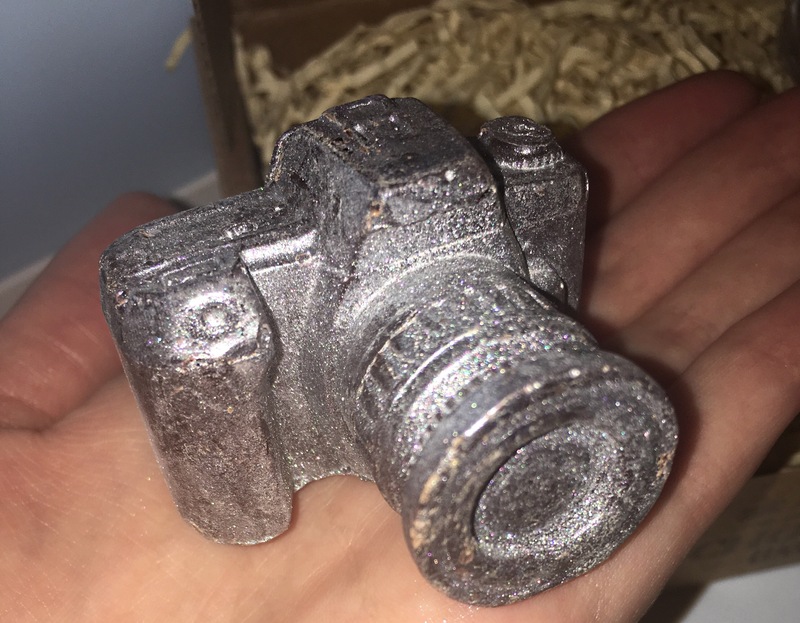 I would never think these were chocolates, but they look so cool! What a nice brother you have! I always love hearing and reading about people’s family. The wonderful things they do. The kind words they give one another. Simply because that’s the only way that I can experience a sense of family love. I’ve lost since I was 12, and makes me say, “wow. That’s beautiful. I love that. Wow” I always say, a gift doesn’t have to cost a million or even 99 cents. The thought is what counts the most. Great post! And thank so very much for the follow. I am now following you back. Keep on moving! Those are chocolates? Woah that’s so cool! I’ve seen these but somehow the thought of eating a camera, bottle opener and nail polish is a bit off putting to me! LOL !!! Perhaps because they are so life like! How high would you rate them on taste? Really… oh I should have tried!! 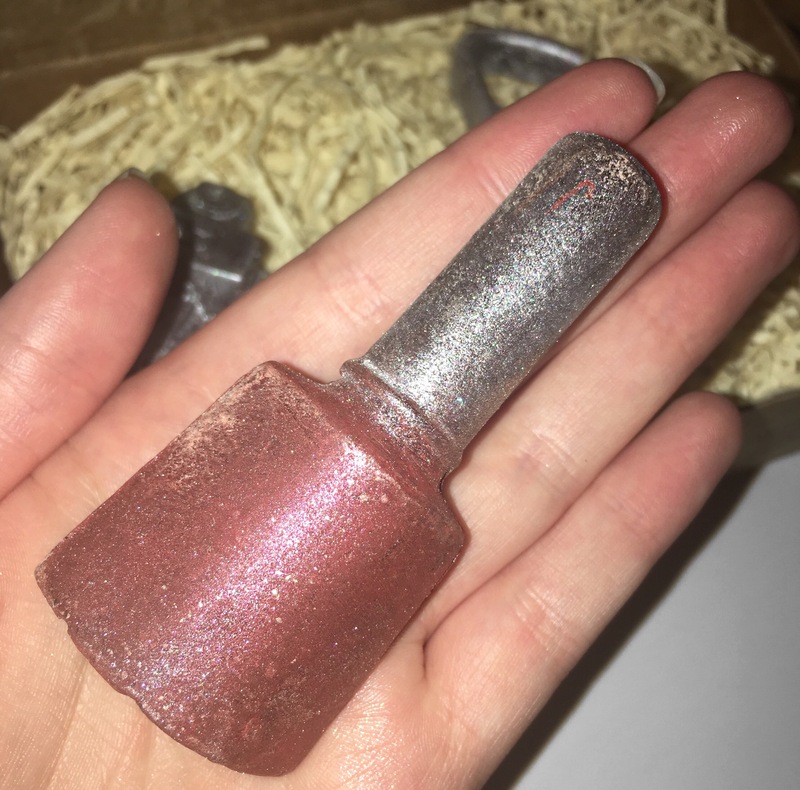 Maybe the nail polish?….